What are the benefits of the Membership Program? 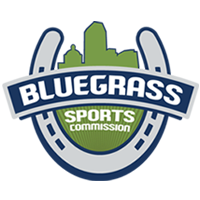 By partnering with the Bluegrass Sports Commission, you are giving back to your community by helping us attract and support new and existing sports events to Central Kentucky. Our goal, with your support, is to be a major driving force for positive growth in our region. The membership program will allow you and your business to network with like-minded individuals in the area on a quarterly basis at special BSC member events, including the Barbasol Championship, the Kentucky Three Day Event, Lexington Legends games, Keeneland, etc. In addition, your business will be invited to participate in the BSC Member Golf Scramble. Together, with your support, we can create a stronger voice for sports, open the doors for the creation of new events, and give our youth a chance to play and compete. Through a collective effort and commitment, we can shape our communities future as we pay respect to the success of our sports hero’s past. All membership levels include access to discounted tickets to the Bluegrass Sports Awards, BSC member meetups, and other BSC events. Are you looking to break into sports? We’re seeking current college students who can earn class credit while working in the sports industry. If you’re looking for spring, fall or summer internships, apply here. We’re seeking volunteers to help get involved with many of the events we host. We work with hundreds of volunteers annually who help make Central Kentucky a better place to live.